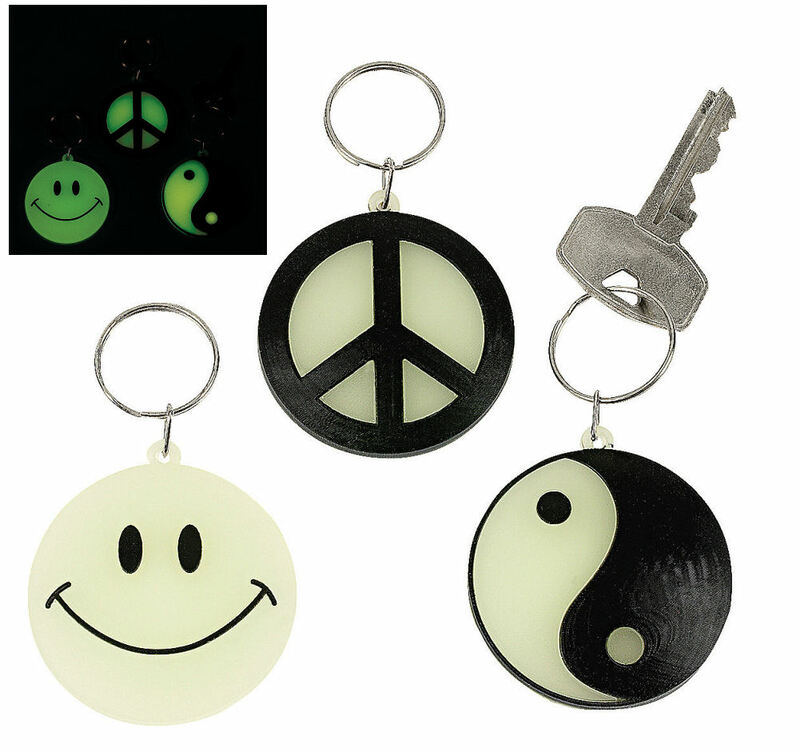 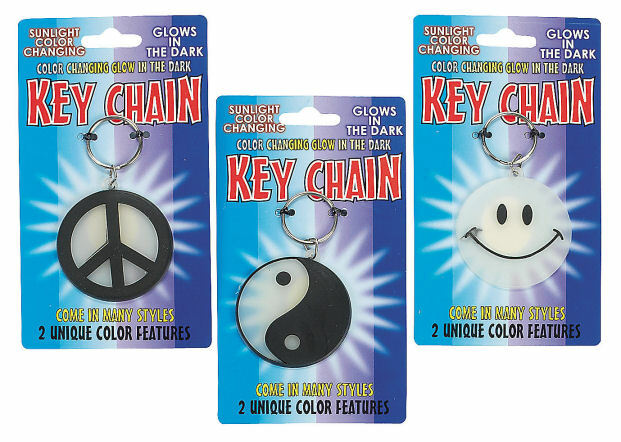 12 assorted glow in the dark keychains. Includes 4 of each design: peace sign, smile face, and yin yang symbol. 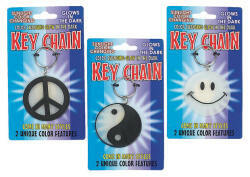 Each plastic key chains measures about 2" across and comes on a display card as pictured.